This will prevent LianaReads blog from sending you messages, friend request or from viewing your profile. They will not be notified. Comments on discussion boards from them will be hidden by default. 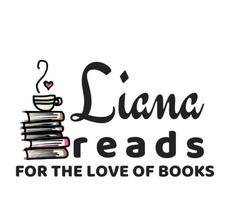 Sign in to Goodreads to learn more about LianaReads blog. Love doesn’t die, even when you stop feeding it. There is no expiration date on the ache of missing someone you shared your heart, life, and body with. "I started 2018 with a heart wrenching story close to an ugly cry. Drive made my heart heavy like hell and at the same time it raced miles ahead while turning pages. I cried my year out with this book and still want more of all the ups and downs of my heart because this means perfection from the beginning to the end. I Love second chance romances and this story was exactly what I wanted from my heart and mind to feed and read in a beautiful love between two perfect souls and all the sacrifices they had to do and live with til they found a way back into each other arms. We’d love your help. Let us know what’s wrong with this preview of Bailey And The Bad Boy by R. Linda.
" ❤ ❤️ ...more "
I just literally finished this book and my head is still spinning from the amazing story I've read. LianaReads blog has read 146 of 250 books. Take a look at LianaReads blog’s Year in Books. The good, the bad, the long, the short—it’s all here.